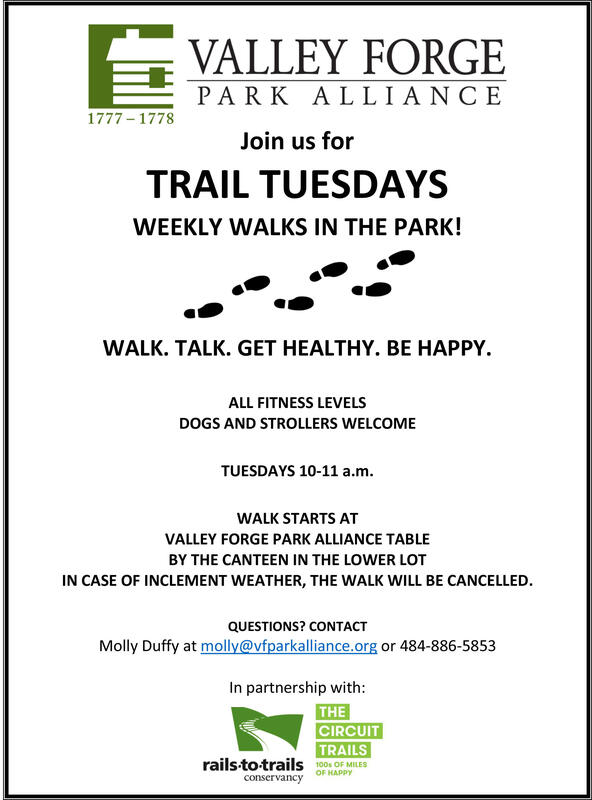 Join us for Trail Tuesdays, weekly walks in the park! Walk. Talk. Get Healthy. Be Happy. Open to all fitness levels. Dogs and strollers welcome. 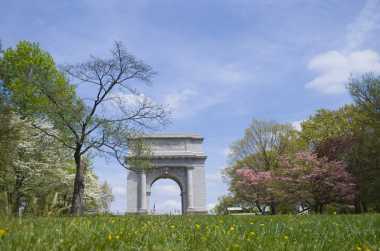 Tuesdays from 10 to 11 a.m. 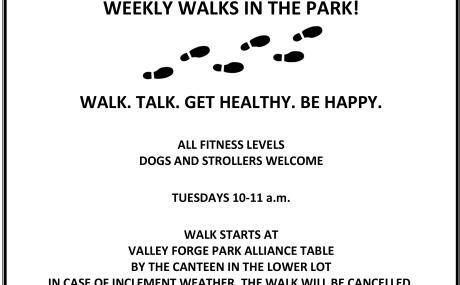 Walk Starts at Valley Forge Park Alliance Table by the Canteen in the Lower Parking Lot. In case of inclement weather, the walk will be cancelled.